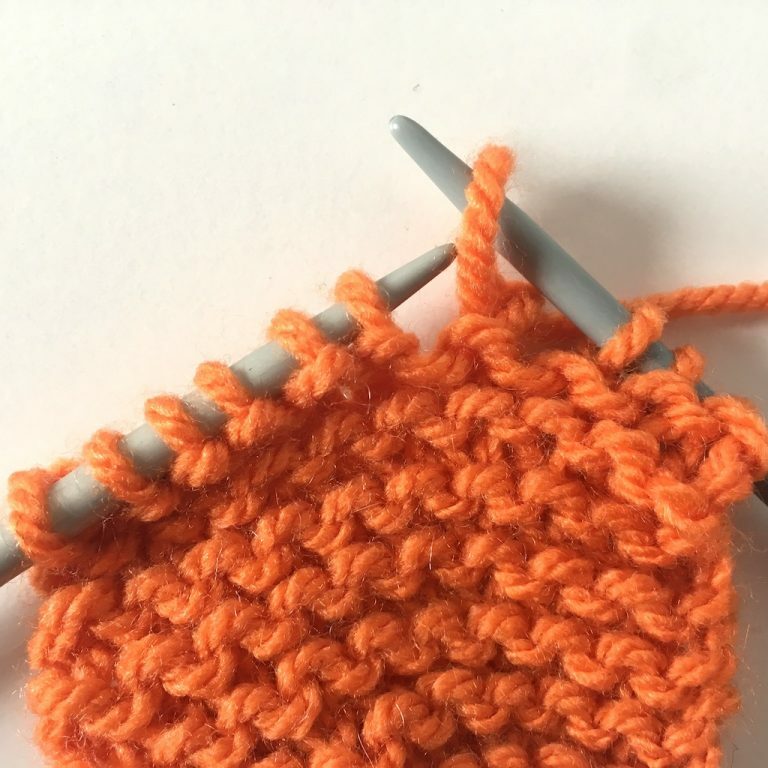 Working a knit stitch is the next step once you know how to make a slip knot and cast on. Just follow these step-by-step instructions or watch the video at the bottom of the page. 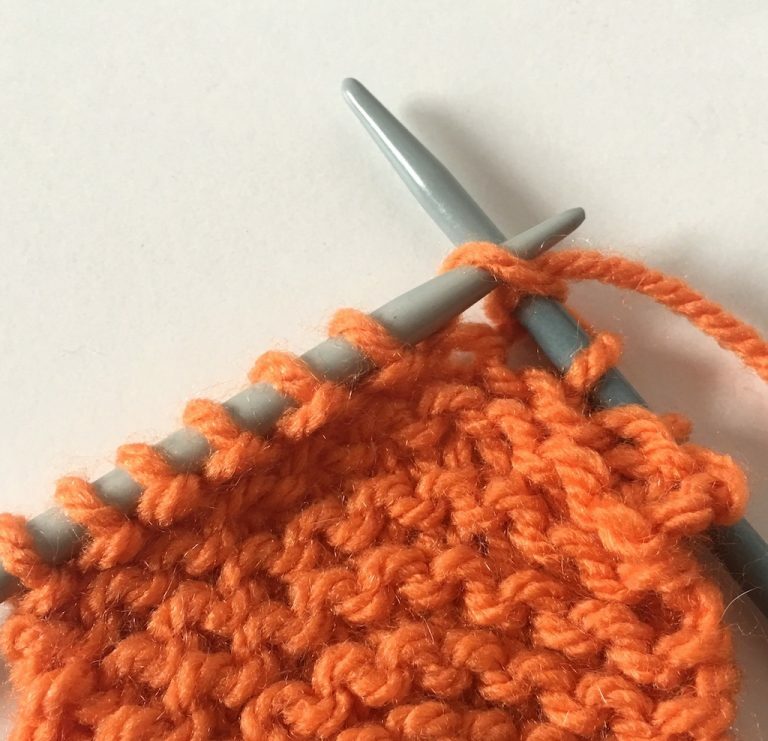 About to knit the fourth stitch in the row. 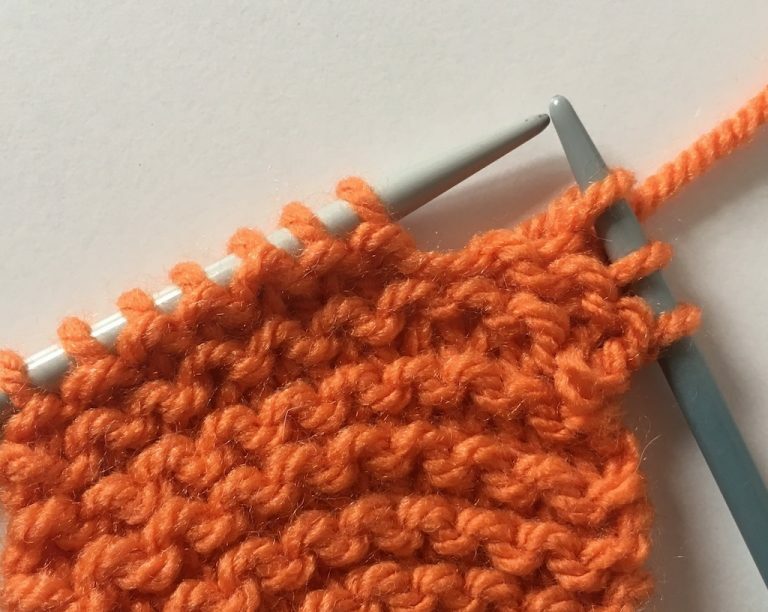 The yarn is at the back of the work and at the moment there are three stitches on the right-hand needle. Insert right needle through next stitch on left-hand needle, taking the needle from left of stitch through the middle towards the back. 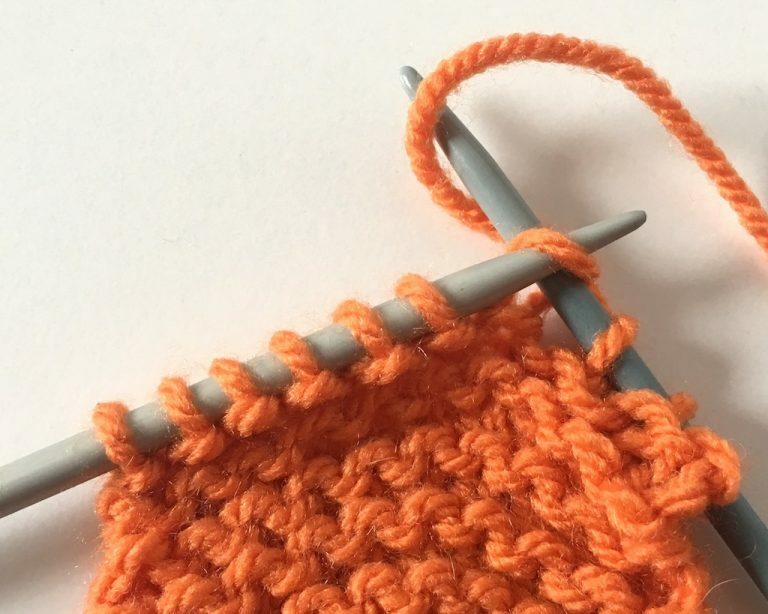 Take the right-hand needle under the left-hand needle through the middle of the stitch, sliding it towards the front, bringing the yarn with you – it’s now forming a loop on the right-hand needle. 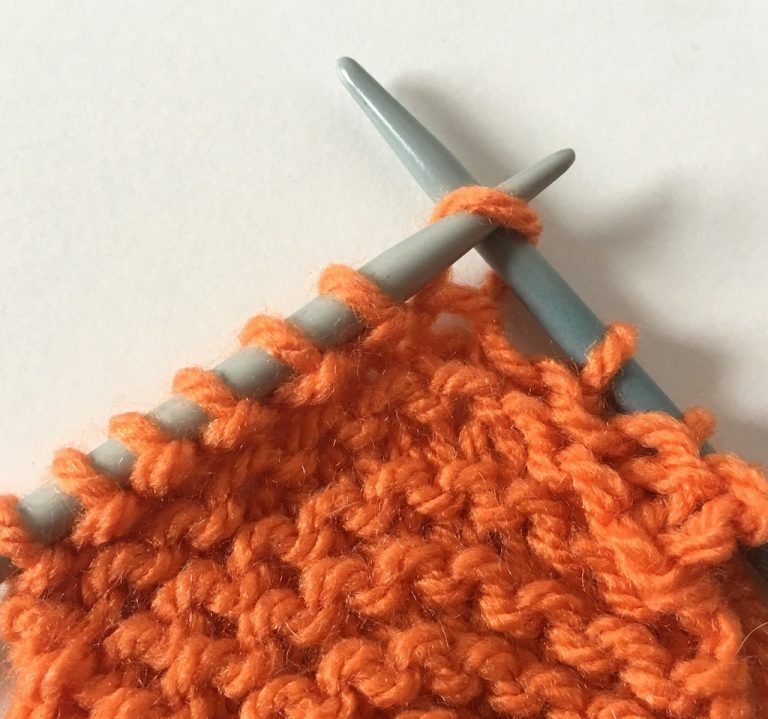 Slip the original stitch off the left-hand needle, leaving the new loop (now the knitted stitch) on the right-hand needle. 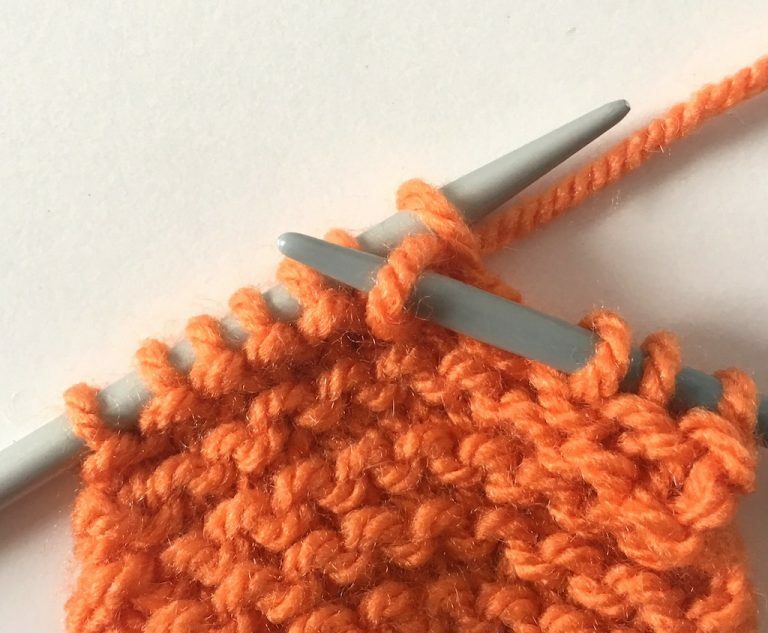 There are now four stitches on the right-hand needle.